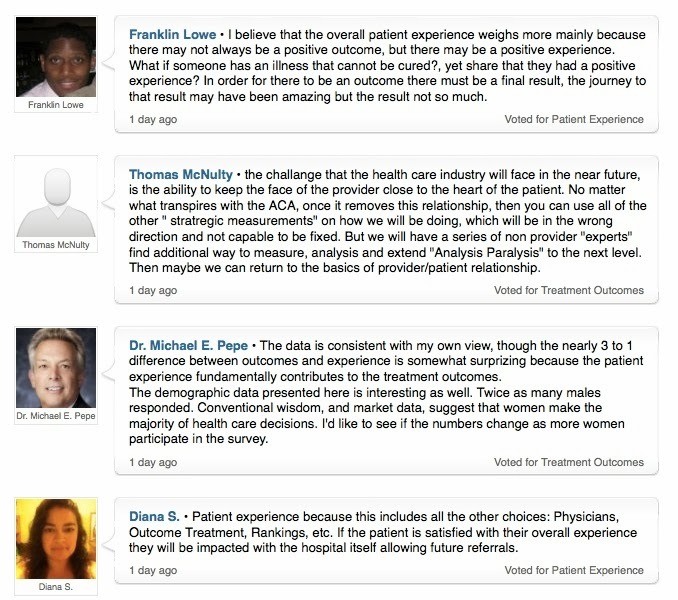 Please check out this new post I have written for Athenahealth's Leadership Forum. It's called "Advocating through Inquiry" and relates some intriguing ideas from Gerald Hickson and his colleagues from Vanderbilt. St. Francis makes an appearance, too. Please let me know what you think about it, either here or there. Thanks. News that health insurers are ending the policies of what could be millions of Americans has rattled consumers and added to the debate over the health care law. If you or a family member has been notified that your individual policy is being cancelled at year’s end, you may be stunned and upset. Q. Why are premiums changing? A. Under the old rules, insurers could decide whether to accept you – and how much to charge -- based on answers to dozens of medical questions. You no longer have to fill out those forms. Starting Jan. 1, insurers can no longer charge women more than men, reject people who are sick or charge them more and can charge older people only three times more than younger ones. They’re also adding new benefits. The President's spokesperson today tried to explain why the President's statement--"If you like your health plan, you can keep it." --was true. "As the law says, and as the President made clear . . . if you had insurance coverage on the individual market when the Affordable Care Act was passed into law and you liked that plan and you wanted to stay on it . . . you can keep that coverage. You are grandfathered in . . . in perpetuity." Here in Massachusetts, I am not allowed to keep the individual plan I have had. I am required to buy a new plan effective March 2014. And, as I have discussed in my two previous posts, that new plan is not the same. I guess the fine point is that I bought my plan after March 2010, when the health care law was enacted. Maybe this is all a distinction that doesn't make a difference. After all, I like some changes in the plan and don't like some others. But the answer given today doesn't square with many people's perception of the President's promise. As indicated in press reports, like this one from the Los Angeles Times, others of us who are in the 5% covered by individual plans are similarly confused. Nearly 2 million Californians have individual insurance, and several hundred thousand of them are losing their health plans in a matter of weeks. Blue Shield of California sent termination letters to 119,000 customers last month whose plans don't meet the new federal requirements. About two-thirds of those people will experience a rate increase from switching to a new health plan, according to the company. 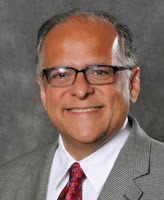 I want to thank Willam Ocasio, Kellogg professor of management and operations at Northwestern University, for saving me some money. He read my last post about my family's Blue Cross Blue Shield of MA plan under the Affordable Care Act and suggested that I could save "a lot of money" by choosing the $500/$1000 (individual/family) deductible plan instead of the plan with no deductibles. It turns out that he is right, but it also turns out that I am still worse off than my current Massachusetts Connector plan. This BCBS plan under the ACA is about $350 less per month than the no-deductible plan. Even if I run through the $1000 in deductibles during the course of the year, I break even after three months. Inexplicably, too, the visit and imaging co-pays are less than they would be in the ACA no-deductible plan. So, my initial point remains valid. I am still worse off under the Affordable Care Act than I was under the Massachusetts plan. My premium has gone up $220 per month (or 15%), and I will likely spend another $1000 covering the deductibles. My total percentage increase depends on how much additional care I need past my deductibles. Paradoxically, the more I need to use medical services, the smaller my annual percentage increase. 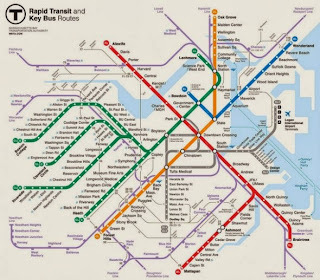 By the way, it is not clear to me how many people will have the time and inclination (and math skills) to compare the 95 plans on the Massachusetts exchange--but I guess I'm pleased that the data are available for all to see . . . including a helpful professor from Illinois! Didn't they promise lower costs? Ross Douthat writes in the New York Times that Americans will soon be able to get "a real look at what Obamacare is selling them." What will they find? One way to understand what is being offered is to think in terms of three “mores.” Insurance à la Obamacare will be more expensive, more subsidized and more comprehensive than what was previously available on the individual market. Well, proof of the first aspect has landed at my home here in Massachusetts. Here's a chart comparing the Blue Cross plan I have been able to purchase under the rules of the Massachusetts Connector to the one I will be able to be able to purchase under the rules of the Affordable Care Act. Now, I do get the benefit of an out-of-pocket maximum of $3000. But I will pay $7200 extra for that protection. To break even, I would have had to spend $10,200 in out-of-pocket items under the Massachusetts plan. Douthat noticed the same pattern in his home state of Connecticut. "There the 'more expensive' part of the new regime is readily apparent." He believes that the higher rates are "because insurance companies now have to take customers with pre-existing conditions, which drives everyone’s rates up. But they also bite because buyers are getting more insurance than the older system’s cheapest plans offered." Not so here in Massachusetts, where pre-exisiting condition exclusions have been outlawed for years and where--as you see--we are not getting more insurance than the older system. I think the explanation for this uptick in cost in Massachusetts has to do with the group and individual definitions and rating factors that BCBS has to use under the ACA, so I'm not blaming them. And actually, their premium plan is less expensive than those offered by other insurers in Massachusetts, so some competition seems to exist. I'm also happy to pay my fair share. In particular, I have no problem at all with having my tax money used to help subsidize those who can not afford insurance. But, jeez, couldn't you have kept my monthly premium rate increase to something less than 40%? 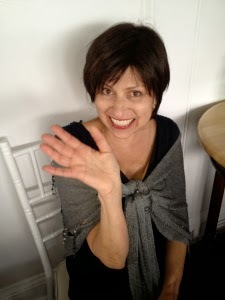 Marilyn Kass, aka Momo, passed away last night after a long battle with breast cancer. She has been an inspiration to many of us. 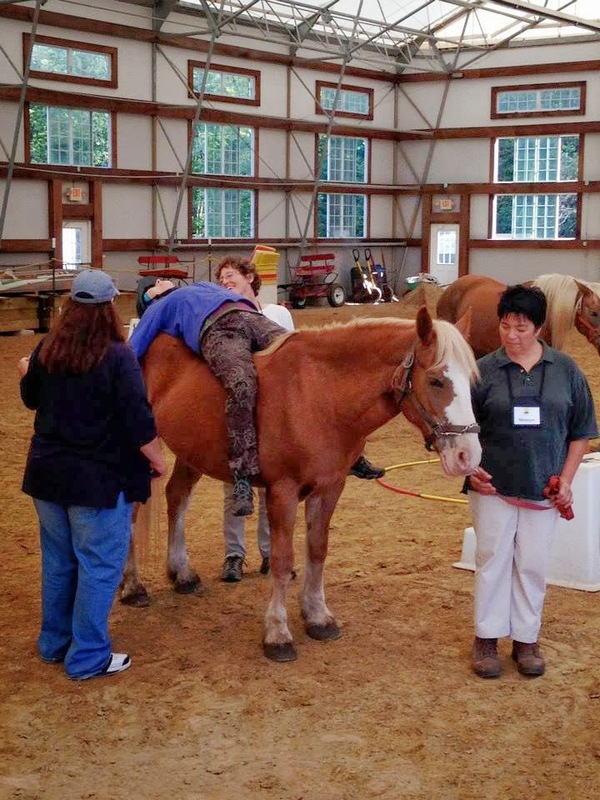 The humorous picture above was from a recent adventure in horseback riding. 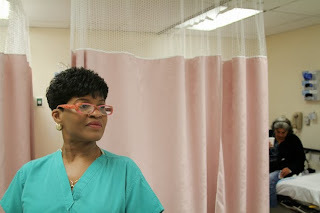 Here's the message she has had on her blog--subtitled, "Breast cancer--It's amazing what you can get used to." Thanks for checking out my blog. For those of you dealing with cancer directly or indirectly we’re in it together. This journey has more ups, downs and surprises than a roller coaster. Hang on. Breath. Wherever you are, it’s temporary. Relish the good times when they come and have faith when the crappy times roll along that they too are only temporary. Lean on your friends and family. Seek out folks who want to help and let them. It will make them feel good. 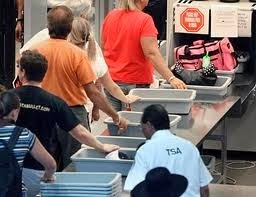 When you are negotiating for an upgrade or waiting in line, tell the folks across the counter that you have cancer. It just might get you a better seat. Then, forget about it as much as possible. Try to win with the cards you’ve been dealt and bluff if it helps. Email any time I love hearing from you. The NSA probably knows this already, so I think it is all right to spread the word. I noticed in my blog statistics that someone from the Department of Homeland Security was looking at a series of my favorite Lean training blog posts. They are about drawing a pig. Hey they are: Part 1, Part 2, and Part 3. But I wondered what led them to these sites. Well, the statistics app suggests that they came to it via a process improvement website from the UK. However they got here, I am pleased, and I hope they find the exercises useful. I hope someone lets me know someday if the training will be used. And where? At the airports? A sweet interplay between orchestra members from Boston and St. Louis. Fun! One of the best decisions I made before taking on the CEO job at BIDMC was to meet with John Halamka to make sure he would be staying on as chief information officer. Once he said yes, I knew it would be safe to sign on, confident that our clinical and administrative information systems would be best of class. Policies are good. Policymakers are well meaning. Timelines are set in such a way that none of these activities - Health Insurance Exchange, ICD-10, Meaningful Use Stage 2, or HIPAA Omnibus Rule have enough time for testing, piloting, and cultural change. I'm not yet at that time in my life when I resist change or innovation. I'm simply an IT leader and physician in the trenches who knows that 9 women cannot create a baby in a month. Do you recall the old game of chicken? Two cars (driven by slightly crazy people) drive towards each other at high speed. The person who swerves first--to avoid the pending collision--is "chicken" and loses. If we look at this as a problem in decision analysis, we find the following matrix of possible results. The question often posed about this game is how you can guarantee that you will win, but also guarantee that you don't end up "winning" by crashing into the other person, who has also "won." The solution is quite simple. As you approach the other car, you pull the steering wheel off its column and--making sure the other person sees you do it--you throw it out of the window. The other driver now knows that there is no way for you to veer off, and there is a very high likelihood that s/he will be "the chicken" and turn away. The pattern across America is to ignore this problem or apply band-aids. At best, local administrations put in place a savings fund for new employees or reduce future benefits for this cohort, so they don't add as much to the problem going forward. But there are actually very few new employees. Meanwhile, the localities have to engage in a pay-as-you-go policy for current retirees. But they don't plan very well for the fact that even the current retirees are likely to need more and more expensive care over time, draining the municipality as it tries to keep up with the pay-as-you-go plan. More importantly, most have no plan whatsoever to deal with the large number of incumbent employees who will be added to the OPEB rolls as they retire. Relatively new accounting standards from the Governmental Accounting Standards Board (GASB) Statement No. 45 provide for the recording of OPEB expense and the liabilities in the financial reports of state and local government employers. But those standards do not require governments to solve the problem. What makes this all so risky and difficult is that it will be occurring precisely when the funding for Medicare--for non-government retirees--also gets very tight because of the country's demographic trends. A better plan would be to have the federal government impose the kind of standards it does on private companies, requiring localities to fully fund OPEB liabilities. Give the local governments a period of time to catch up, but don't let them engage in this kind of game of chicken. The next WIHI broadcast — Who’s Conversation Ready? How Health Care Can Respect End-of-Life Wishes — will take place on Thursday, October 24, from 2 to 3 PM ET, and I hope you'll tune in. For over a year, building on others’ great work, IHI has been engaged in two groundbreaking initiatives to reduce the confusion and improve the circumstances that surround end-of-life care for most Americans in the US. The Conversation Project, founded in collaboration with IHI, is a grassroots effort to encourage and enable every one of us to discuss our wishes regarding end-of-life care with our friends and loved ones, long before there’s a medical crisis. The second initiative, Conversation Ready, is designed to capture the ways in which health care organizations can effectively respect and respond to these wishes. Ten organizations have been working with IHI to share and refine their best practices, and we’re going to check in on what they’ve learned on the October 24 WIHI: Who’s Conversation Ready? How Health Care Can Respect End-of-Life Wishes. Three clinical leaders from notable health care systems will be on hand for this WIHI, along with IHI’s Kelly McCutheon Adams. You’ll hear about an effort underway at BIDMC to embed a system of “4 Rs” into all patient engagements: Reaching out to learn a patient’s end-of-life preferences and values, followed by processes to Record and reliably Retrieve and Respect the information. Care New England has a number of innovations underway, including the designation of a “conversation nurse” who ensures that the goals of patients and families stay at the forefront of all end-of-life decision making. At Virginia Mason Medical Center in Seattle, the electronic medical record is becoming an effective home base for important and visible information about preferences regarding end-of-life care. This is just a taste of what’s ahead on the October 24 WIHI. Host Madge Kaplan and her guests are also eager to find out what’s going on at your organizations. There’s been considerable progress with palliative care in many, many hospitals. But the end-of-life conversation that starts at home among friends and family and then continues straight through to the clinical world, without running into a lot of roadblocks, isn’t yet the norm. That’s what we’re all working on. 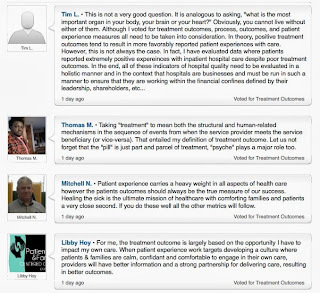 It is so striking that hospitals are keen to accept and publicize the results of the fairly meaningless US News and World Report hospital rankings--rankings that have no statistical validity and are based in part on rumors about the quality of care delivered--and yet complain bitterly when the Leapfrog Group posts scores based on data about preventable medical errors and injuries. The scores revealed “little improvement in safety overall” since the last report. In American life, the three great lies are (1) "The check is in the mail;" (2) "I'll still respect you in the morning;" and (3) "I'm from the government and I'm here to help you." In the hospital world, the two great lies are (1) "Your data are flawed" and (2) "Our patients are sicker." Perhaps someone can explain what that actually means. Heaven forbid that a hospital's score would improve. 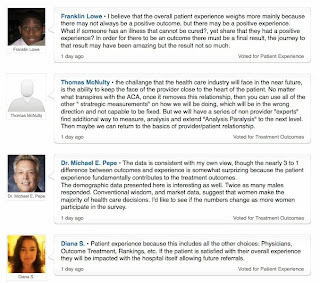 When your father is Richard Corder, a fellow who spends a lot of his time helping hospitals become more patient-centric, you develop insights somewhat different from other 11-year-old girls. Ah, this is just what the doctor ordered. Shouldn't that be, this is what the patient really wants? Personal adversity can sometime produce a commitment to change. Caroline Cohen is a high school student in our town who suffered several concussions in sports activities, the most recently in 2011 during a Memorial Day soccer tournament. Following that last injury, she was forced to miss school and, eventually, to give up all contact sports. To help spread the word about concussion awareness, she recently organized a one-day, 3v3 "Kicking Concussions" tournament for U10, U12, and U14 girls in our town. The proceeds from the tournament were designated to benefit the Boston University Center for the Study of Traumatic Encephalopathy, a research institute where they study chronic traumatic encephalopathy (CTE), degenerative brain disease that results from traumatic head injuries. Caroline noted, "Through this tournament, I hoped to raise money for advanced research in the field, in addition to educating younger players about concussions." Supported by her friends (Caroline seen here with her buddy Katie Nugent) and some local merchants who offered prizes, the tournament was publicized widely among the town's girls soccer community. Well, the day was a great success! Dozens of girls played dozens of games, and they were able to raise over $1000 for the cause. My wife suggests switching NSA and HHS personnel -- two birds with one stone. CMS web design allows businesses to organize and maintain their website content fast and effortlessly. Besides, one can have an unlimited number of pages and a full site-search engine. WASHINGTON—Responding to widespread criticism regarding its health care website, the federal government today unveiled its new, improved Obamacare program, which allows Americans to purchase health insurance after installing a software bundle contained on 35 floppy disks. “I have heard the complaints about the existing website, and I can assure you that with this revised system, finding the right health care option for you and your family is as easy as loading 35 floppy disks sequentially into your disk drive and following the onscreen prompts,” President Obama told reporters this morning . . . There's no sugarcoating it. The website has been too slow. People have getting stuck during the application process. And I think it's fair to say that nobody's more frustrated by that than I am. Precisely because the product is good, I want the cash registers to work, I want the checkout lines to be smooth, so I want people to be able to get this great product. Nobody's more frustrated by that than I am. With respect, sir, no one is concerned about your frustration. This is a time to show empathy to the thousands of people who have been through the unsuccessful interactions with the federal exchange system. I want the cash registers to work. OMG, what a terrible metaphor! This is not a time to portray health insurance as just another internet product, nor the federal government as an entity solely concerned with taking your money. In case you missed it, last night embattled healthcare.gov sent this message. Note the "easier than ever" qualifier. From HHS spokesperson Joanne Peters: "As part of our ongoing efforts to make improvements every day, new content is being featured on HealthCare.gov in response to user feedback. It's now easier than ever to preview plan information, access a downloadable application form and find in-person help in local communities. We're giving users more information to make the decision that's right for them about how to apply and enroll in affordable health coverage." This was an administration that was so good at messaging during its election campaigns. I really wish they would get better at it while governing. The stakes are very high. Neel Shah has been running the Costs of Care essay contest for several years, and it is time to send out the reminder for the fourth annual event. Here's the website. There will be $4000 in prizes for the best stories from patients, doctors, and nurses illustrating the importance of cost-awareness in healthcare. The deadline for entries is December 1, 2013. Entries should be 500-700 words and should be typed and double-spaced. Students are strongly encouraged to submit. Entries will be judged based on the quality of the writing and the relevance of the anecdote to the topic of cost-awareness in medicine. We are primarily seeking stories. The focus of the contest is not to suggest policy solutions. Last year, I posted the winning essay by a patient. Take a look. Thanks to Harvard Pilgrim Health Care and the AAMC for sponsoring this event. 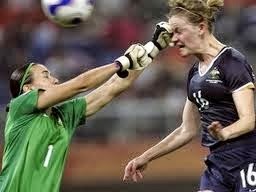 The CDC reports that approximately 200,000 sports-related concussed athletes per year end up in US emergency rooms. 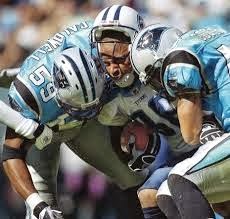 The total number of sports-related concussions is five times that figure. Whether the patients end up in EDs or not, our diagnosis and treatment of these traumatic brain injures is substandard compared to what might be possible. I recently heard an excellent story about cooperation between the Cleveland Clinic and the Allegheny Health Network to enhance the diagnosis and treatment of concussed athletes and others. The work being done has great potential to reduce the danger of concussed players returning too soon to the game and to prioritize post-concussion treatment. And it is based on iPads and apps. The presentation was by Jay Alberts of the Cleveland Clinic--where the development work took place--and Keith Lejeune, Vice President of Innovation Deployment at AHN. It turns out that the accelerometer and gyroscope in the iPad makes concussion assessment possible. But the program starts before any injury occurs. This story from radio station WESA explains. C3 Logix is a new, innovative concussion evaluation technology that provides on site data collection at the time of injury, to better aid physicians in diagnosis and treatment. The program is loaded into an iPad and before the season starts, athletes perform a series of neurocognitive tests. The program tracks the athlete’s visual reflexes and their ability to focus on moving objects. Results of these baseline tests can then be compared to data logged in incident reports at the time of suspected brain injury. After an injury, by having the patient wear the Ipad on a belt, you can watch minor variations in movement and balance that are indicative of whether the brain has recovered fully. Feeding data directly into the electronic medical record, this electronic format enhances understanding of cognitive and motor declines for a concussed patient. The information that C3 Logix provides is key because the athletic trainer or doctor doesn’t have to rely solely on the testimony of an injured player, whose main priority might be returning to play. During the recovery period, the neurocognitive tests are also repeated to monitor improvement over time. It turns out that patterns or recovery vary widely among patients. Patients can be referred to physical therapists or speech therapists as data indicate ongoing need. Previously, treatment was based on the "Rest and Pray" model. The empirical result of this has been much more use of extended care (e.g., PTs) than previously would have been the practice. Compare this to the usual assessment. An athlete is injured. The trainer takes care of the person at the site. Later, the patient shows up for follow-up, but the initial information collected by the trainer is not highly quantified, and it is certainly not captured in the EMR. There is no way for the follow-on caregiver to know the extent of the injury at the start, much less compare the athlete to his or her baseline conditions. Even the work-up at the ED or clinic fails to produce and capture for future comparison a highly quantifiable version of the facts. C3 Logix is currently used at more than 50 schools in northeast Ohio and has been used to assess more than 7,000 athletes in the past year. 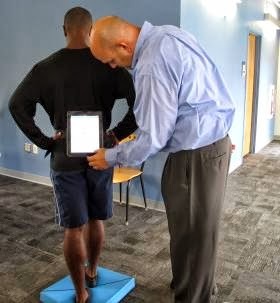 Athletic trainers at Allegheny Health Network began baseline testing with the system this month, and there are plans to expand the C3 Logix program to all 14 school districts that receive their training services. The system is also being used at Robert Morris University and by the Pittsburgh Riverhounds soccer team. The New York Times has reposted my initial letter to the editor in their Sunday Dialogue feature, plus responses to it, plus a rejoinder from me (at the end). Check it out here or in your actual Sunday morning paper. As a general matter, if you can characterize an error or near miss by saying, “It could have happened to anybody,” that is a pretty good indication that it reflects a systemic, rather than a personal, problem. We proudly announce that The Waiting Room finally hits TV screens nationwide on PBS' Independent Lens this Monday the 21st of October at 10pm! It has been quite a journey since Bill Hirsch and Scott Verges, two local attorneys who wanted to make a film about the uninsured, hatched this idea in 2007. And like any good story there were ups and downs. After struggling to figure out how to tell the story, raise the money, get through production and then a daunting 14-month edit, we were rejected by 22 festivals! But starting with our friends at True/False in Columbia, MO and through an amazing run at the San Francisco Film Festival the film began to find its voice and roared all the way to the Oscar shortlist! That was truly something to behold and it would not have happened without the faith and determination of a lot of people. So now, this Monday at 10pm our little film will get a big audience. You can do your part simply by watching this film, talking about it and encouraging others to do the same. Because after all, we're all on this journey together. In an emergency, time matters, right? The following recorded message is currently being provided when you call a local primary care clinic. It clearly was just dropped in before the regular message. There is no way to bypass it. Did someone forget about the medical emergency advice that usually comes up front, or was there a conscious decision to push it back? I understand the challenges that clinics face in providing clear, concise, and current patient information. I wonder how other places have solved this particular problem. Thank you for calling [name]. At the present we are offering the flu vaccine for all patients interested in obtaining it. If interested, please be sure sure to ask your doctor or nurse practictioner for it during your visit. We also have a walk-in clinic available for you in [location] from 8:30 am until 5:00pm. The flu shot will be charged to your insurance. Please remain on the line for our main menu. Thank you for calling [name, repeated]. [30 seconds in] If this is a medical emergency, hang up and dial 911 or your local medical response number. It's been a hard, sad week in Newton. For parents of teens, it's something more as well. High school is a big transition for the kids, but it's a harsh entry to a new reality for us as well: seeing our children suddenly exposed to the the dangers, the fragility of their lives that we’ve spent their entire childhoods trying to protect them from. This is our new reality, and parenting suddenly requires a set of skills that run counter to every instinct. There will be more awful news -- drugs, alcohol, arrests, car accidents, and, God forbid, more losses. As parents, we need, at these moments more than any others, to cling to our babies, to promise them that nothing will ever hurt them, that the magical thinking of their youth still can work if they just stay close, hold our hand and trust in our parental superpowers. We might even convince ourselves. Instead, the best we will do is embarrass them with affection they don’t want, advice they don’t think they need, and trust they may not even fully deserve -- the opportunities to make mistakes if only to prove to them that we’ll be there to help them figure out how to crawl out of whatever holes they dig for themselves and the kick in the pants to get them to do it for themselves. What else can we do? Deep sigh. It’s been a hard, sad week for us all -- but I can’t even begin to imagine the pain those two families are going through, and all the agony yet to come, as they search for answers that may or may not ever be found. Like thousands of others, I have an account on LinkedIn, but I have generally found it to be an uninteresting place to hang out (in an electronic sense.) 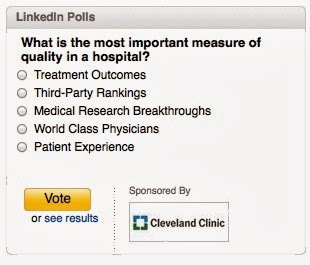 That changed this morning when I saw a poll sponsored by the Cleveland Clinic. Top-ranked answers were "treatment outcomes" and "patient experience." Our audience of poll-takers clearly understands the limited value of third-party rankings. Take note, US Rumor, er News! 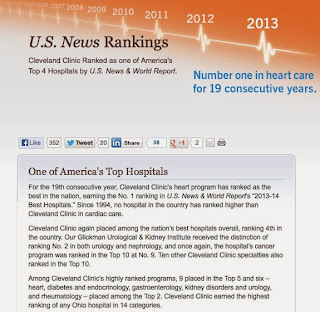 But also take note, hospital PR departments and doctors who think that those rankings matter at all. 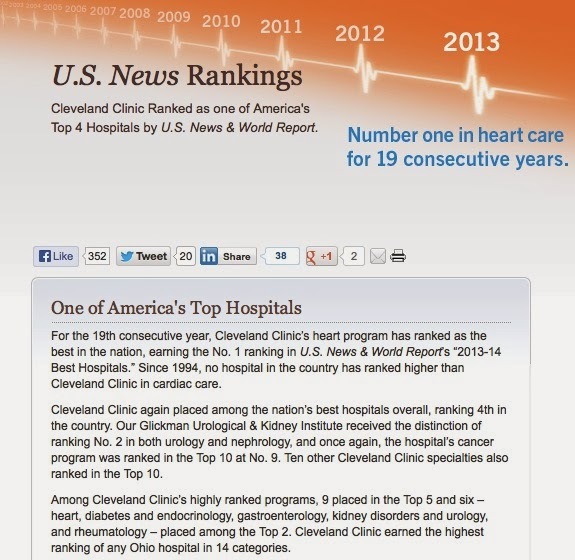 Indeed, how ironic that the Cleveland Clinic touts these rankings in its advertisements and web presence! Oh, but I depart from the main points. The survey also suggests that people are not all that interested in medical research or even "world class physicians" in making their choices. Maybe UPMC and other academic giants will remember that when they spend money on those glossy New York Times ads. 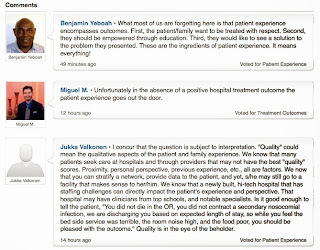 OK, so people want good treatment outcomes and a good patient experience. That seems sensible. Let's see what some of the comments were. I think they are quite thoughtful. Unfortunately, in most states and for most hospitals, useful data on outcomes is not available. What is published is often indecipherable and two to three years old. 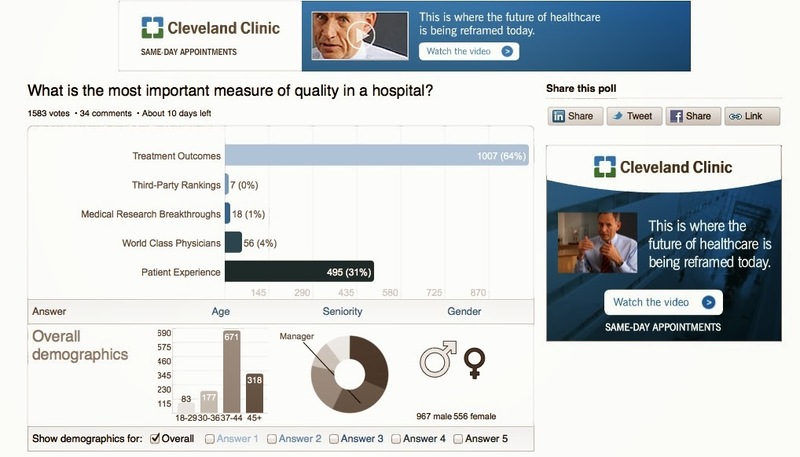 Also, patient satisfaction data is often based on surveys conducted well after the fact, with incomplete and non-culturally competent survey instruments. Of all the state hospital associations, the only ones I know that are trying to deal with those problems in a constructive, collaborative, non-competitive manner are the Washington State Hospital Association and the coalition of Ohio's pediatric hospitals. Perhaps there are others. I'd love to learn of them. Me: I don't have that information, can you please call me back in 10 minutes and I will find out? BCBS: This is a call center, we do not have the ability to call you back. Me: Then why did you ask me for my phone number at the beginning of the call? BCBS: That is in case we get disconnected, we can call you back. A friend inquires: And what was your reply? Me: I said the connection was bad and asked if they could call back...and they did! Most people’s mental map of medical malpractice is hospital centric. Hospitals are where highly trained specialists provide risky, technology-intensive treatments to patients with the most serious and complicated illnesses. Diagnostic and therapeutic decisions must be coordinated to avoid disaster, but care is provided by an ever-shifting array of physicians, nurses, and other health care professionals. The possibility of things going catastrophically wrong is pervasive. When a bad outcome occurs, the hospital is also the primary repository of information about what happened and who might be responsible, as well as a large and well-insured defendant. An inpatient medical record provides “one-stop shopping” for any plaintiffs’ lawyer who is deciding which physicians to sue. Malpractice risk in outpatient primary care is increasingly under scrutiny. This study screened malpractice claims from two Massachusetts insurers and found that those from outpatient primary care settings were more likely to be settled or found in favor of the plaintiff compared with those from other practice settings. Similar to previous research, claims related to missed and delayed diagnoses were most frequent, and the most common disease involved was cancer, followed by cardiovascular disease. The accompanying editorial argues that primary care settings will become increasingly important for malpractice claims with the advent of patient-centered medical homes and accountable care organizations, which shift a larger proportion of medical care to the outpatient primary care setting. The authors note a high prevalence of failure-to-diagnose claims and recommend further emphasis on diagnostic safety. The most important finding, I believe, is that the failure-to-diagnose claims do not result from physician diagnostic errors. They come from failures in routine but yet high-volume outpatient office processes. Here's an typical scenario: A test is ordered by the PCP. It either does not get scheduled; or it gets scheduled and the test result is not returned; or the test result is returned, but it is not seen and is therefore not acted upon by the PCP. The patient next shows up with advanced cancer. For those who are skeptical of using Lean or other work-flow improvement approaches, think again, as they can be extremely effective in fixing this kind of error. To this I would add the inevitable screw-ups that occur when a government actually tries to implement the changes that it has pushed through the legislature. Sometimes the mess-ups are logistical in nature. Witness the huge degree of incompetence on the part of the federal government in setting up the insurance exchange website. "We were surprised by the level of traffic," was their most common response as people had trouble connecting and using the site. What on earth did they expect? The number of visitors to the federal government’s HealthCare.gov Web site dropped 88 percent between Oct. 1 and Oct. 13, according to a new analysis of America’s online use, while less than half of 1 percent of the site’s visitors successfully enrolled for health insurance the first week. I bet Machiavelli would have advised both countries not to try. Or he would have said, let's make sure we build a real coalition of the willing who want to make these changes and who will advocate for them--not only during consideration by the legislature, but also during implementation. It is in the latter period--when the glitches inevitably occur--that short-term-minded politicians quickly back away. The coalition that advocated for change moves on to other things, the bureaucrats take over, and the public is reminded of the old joke: "I'm from the government, and I'm here to help you." Notwithstanding these responses, the policy change does result in a new status quo, which itself becomes as hard to change as the status quo ante. In that respect, we are not like Gatsby. (“So we beat on, boats against the current, borne back ceaselessly into the past.”) No, we muddle through, tacking against the wind, ever so gradually making progress towards an uncertain destination. It is worth the try! Please join me over at the New York Times for "Invitiation to a Dialogue." They have published a letter to the editor from me entitled "When Doctors Slip Up." Here's your chance to disagree with me in front of the whole world! That review began as the ugly side of conflict problems became evident—notably the death of a patient in a gene-therapy experiment at the University of Pennsylvania. In May 2000, Martin announced that HMS would not modify its policies, and called for national debate on how best to maintain the integrity of research. That work, effected through discussion with peer institutions and through the Association of American Medical Colleges (AAMC), led to model guidelines in 2002. 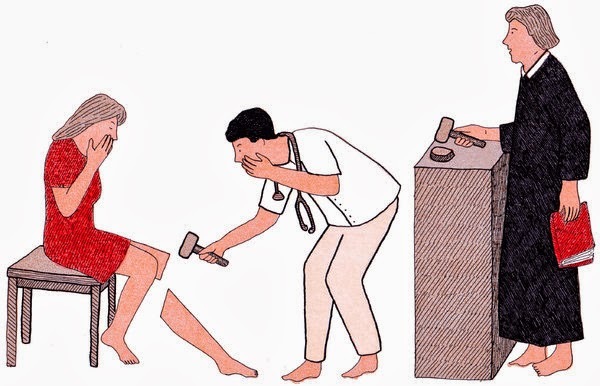 The faculty of the medical school--comprising the professors on The Quad (HMS itself) and the thousands of faculty members in over a dozen Harvard affiliated hospitals--were deeply divided. One group wanted the policies to be liberalized. Another group wanted them to be made more strict. And many were unsure. While the national debate continued at the AAMC, the Harvard policies remain unchanged. Several years later, Joe's successor, Jeffrey Flier, picked up the baton and issued a new COI policy, one consistent with the AAMC guidelines. This took a lot of work and his personal attention. While it required some compromises, Jeff held firm on many important provisions. Institute for Medicine as a Profession researchers compared changes in medical schools' policies from 2008 to 2011, and found that while many institutions made progress implementing some COI policies, nearly two-thirds still lacked policies to limit ties to industry, including gifts, meals, drug samples, and payments for travel, consulting, and speaking. Only 16% met national standards in at least half of the areas, and no school met all the standards. 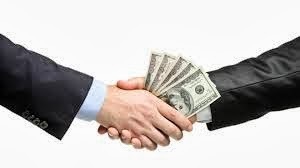 [M]edical schools have a clear blueprint for conflict of interest policies that have been put forward since 2006 by groups that include the Association of American Medical Colleges, the Institute of Medicine, the American Board of Internal Medicine Foundation, and IMAP. Several years have gone by now and many schools are not coming even close to meeting those policies. I have only one thing to say to these schools, "Are you out of your mind?" The entire health care industry is in turmoil. The public thinks that you are part of the medical-industrial complex that pushes higher and higher costs onto the system. Indeed, by not having a strong COI policy, you are part of that complex because your faculty are reaping financial gain from companies trying to market new tools, devices, and drugs. Please don't give us the story that this is too hard. If Harvard Medical School with, shall we say, some large egos among its faculty can reach a conclusion on these matters, any medical school can. Heather Pierce, senior director, science policy for the Association of American Medical Colleges, says AAMC is "pleased" with the progress that medical schools have made in the last few years to strengthen COI policies. "We are encouraged by the robust and continued dialogue surrounding these issues." It is too slow, it's not going quickly enough, and this really jeopardizes the public trust. A true professional is someone who figures a problem is off his plate only when a problem is solved systemically. [Otherwise] they might being a professional in the narrow sense, but it’s not enough. Take a look at the whole article. Put it all together and this is what you’ve got: for the past decade (or, maybe, for several decades), 100,000 Americans (or maybe upwards of 200,000 Americans) have lost their lives each year in hospitals through preventable medical mistakes. Add it up: a million preventable deaths? Two million? Plus preventable injuries? 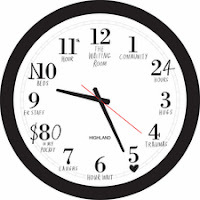 Pick your time frame and your toll. Now, consider that 15 years after the IOM error report there is no reliable estimate at all of the death and injury toll in the outpatient environment. Why? And why no outrage? Indeed. We still find hospital administrators more interested in market dynamics, mergers, and the like than improving the quality and safety of care. We still find doctors untrained in the use of the scientific method to achieve clinical processes. We still see medical schools and residency training programs as woefully deficient in such matters. "We have islands of excellence in a sea of systemic failures. We need to teach all practitioners the science of safety." As I read Julie Donnelly's Boston Business Journal report about Howard Grant's testimony at the recent health care cost trends hearings, I was reminded of a humorous piece written by Art Buchwald many years ago. Art calls US Airways to complain: "I see you just raised your fares to New York." "Yes, we did that to compete against Pan Am. They just raised their fares." "Wait, I thought the idea of competition was to lower prices." "Why would we do that? If we lowered our fares, and they followed suit, it would be a race to the bottom. We would both lose money." Grant said several large, well-integrated systems will have a better chance at lowering costs by treating patients in the most affordable location. 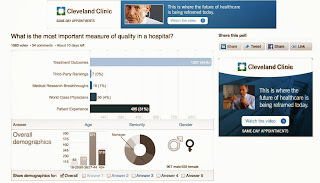 He pointed to Lahey Health’s success in directing more patients to less expensive Beverly and Addison Gilbert Hospitals. The cost containment law “will fail without the fragmented players coming together for legitimate competition, so we don’t cement in (price) disparities,” Grant said during Wednesday health cost hearings held by the state Health Policy Commission. Grant countered arguments from health insurance executives that in the past, larger systems used leverage to gain higher reimbursements. He said it’s a different world now as we move towards a global payment system that pays to keep people healthy, rather than a fee-for-service system that pays for more procedures. 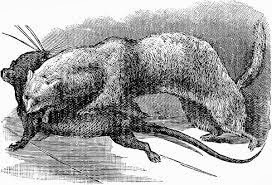 The dilemma is that such an organization might be the only way to offset the power of PHS, but it might create an effective duopoly in the market, further squeezing out other remnants of competition and imposing its will on the insurers in similar fashion to PHS. In the latter case, Art Buchwald's story would come to pass. In a way, it's unfair that Howard has to ask the state to back off, because PHS was able to proceed with its empire-building while the government slept, eventually extracting billions in excess revenues from consumers. Now, though, the Health Policy Commission is charged with reviewing such merger activity, adding a level of state attention that before would have only shown up as very difficult anti-trust cases. But if you are concerned about the kind of market power that can skew rates and referrals, you don't have to get the level of market power required to win the burden-of-proof argument in anti-trust cases. It is at that policy--rather than legal--level that the HPC is being asked to work. It is at that policy level that Howard makes his argument. The problem is that he can't prove the case in advance. He is forced to ask for a display of trust. 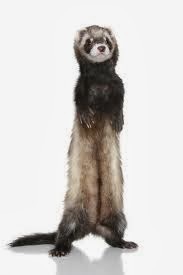 Since the state legislature and governor have been shown to be unable or unwilling to take on the market power of PHS, the HPC might feel compelled to permit a growing Lahey-based ACO to be the ferret that takes on the rat. But given the dangers of duopoly, the state will likely be left to design remedies that would be applied to the Lahey ACO if its market power grew out of whack. Or perhaps the HPC could implement general measures for the entire provider sector (e.g., total transparency of payment rates) that would militate against excessive market power by any participant. If any of my readers would like to offer their ideas, please comment. In over 12 years of publishing probative stock research, Citron is most proud of the work we published on Intuitive Surgical (NASDAQ:ISRG) starting last December. Not because the stock suffered a decline of over 30% amidst a record- setting bull market, but rather because we helped raise to the forefront of public awareness the undisclosed dangers of robotic surgery and the subsequent dilemma: what happens when medical best practices collide with unbridled thirst for profits. I received this announcement recently. This sounds like an interesting and useful venture. The ThedaCare Center for Healthcare Value and the Ohio State University Fisher College of Business are excited to announce the creation of the Center for Lean Healthcare Research. This new center will be housed at Fisher and will build the body of research on the emerging trend of process improvement in healthcare. As health care organizations continue to seek ways to improve patient care quality and reduce costs, the ThedaCare Center for Healthcare Value and The Ohio State University Fisher College of Business are partnering to build the body of research on the emerging trend of process improvement in healthcare. The organizations have announced the creation of the Center for Lean Healthcare Research, to be housed at Fisher. This collaboration will focus on studying and documenting how the Lean methodology is producing lasting change in hospitals around the nation. Sharon Schweikhart, associate professor and director of the Master’s in Health Administration program at Ohio State, has been appointed director of the center. The ultimate goal of the Center for Lean Healthcare Research is to create a peer- reviewed body of research that elevates the profile of these Lean health care practices and better equips hospitals and other organizations to deploy them. 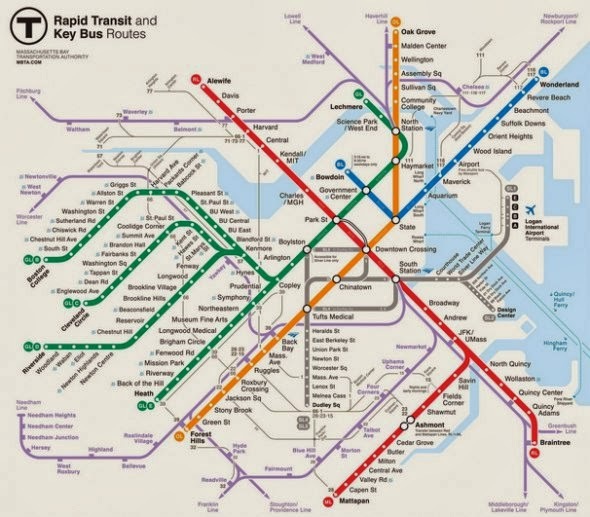 The state announced today it will start replacing T maps with a new version designed by Michael Kvrivishvili, an interactive and graphic designer from Moscow. Kvrivishvili's entry was one of the finalists in a competition run by the T to find the best map it could without paying for it. State officials say that his entry not only won the popular vote but has a number of features that will make it better than the increasingly congested map now in use. 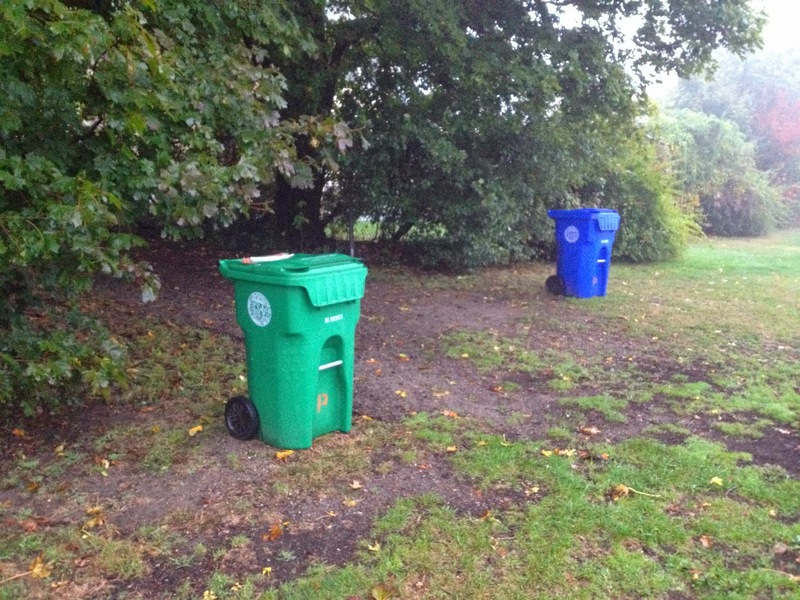 It has been widely noticed that when the city employees pick up the trash at Weeks Field [a 9-acre playing field], they combine the trash from the recycling bins with the regular trash into the City truck. I imagine if they do it here, they do the same at other city parks and fields. Would you please look into this and have them change their practice so they can be supportive of the City's recycling program? Thanks. We are looking into this now and will be back to you. You are correct. 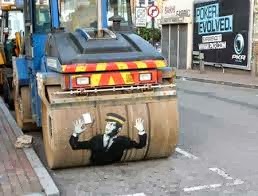 They have been combining trash with recycling at Weeks. Public Works has informed me that they are changing their practices and I will get more clarification on what that will entail. One of the issues with park recycling receptacles is that we get a lot of contamination, especially dog poop. Not so with village receptacles. I sense that those of you from the hospital world have already begun a root cause analysis. 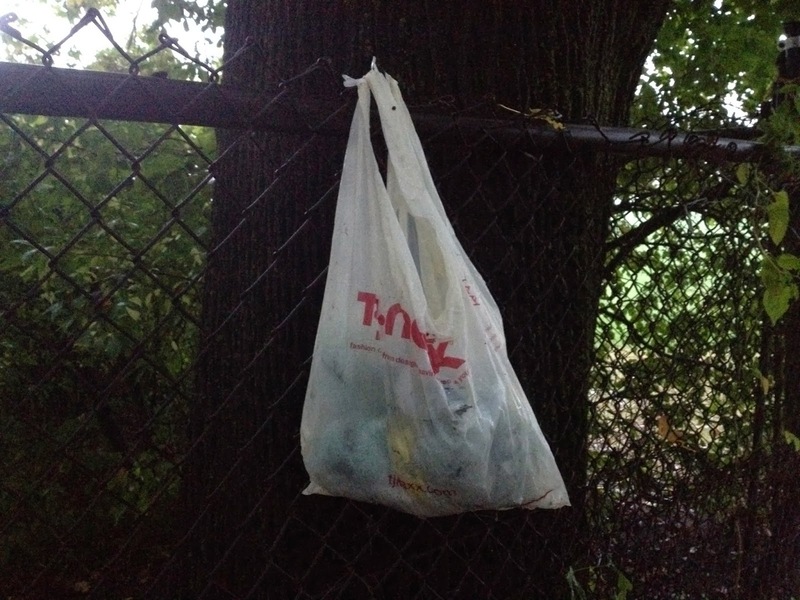 People who walk their dogs at this park have thoughtfully maintained a stash of plastic bags so that no one will be caught short. 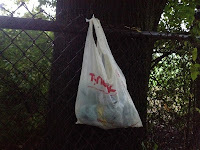 Why, then, do these civic-minded dog owners throw the plastic bags with dog poop in the green recycling bin instead of the blue trash bin? I'd like to guess that most of them think the plastic bag is recyclable. (It is not.) Or they just don't think about it at all. The good news is that the same people walk their dogs on this playing field every day of the year. 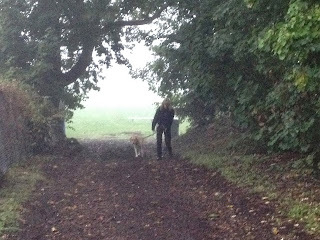 In fact, my original email to the mayor was based on reports from those very dog walkers. I bet if we explained the issue to them and asked them to be more careful about their disposal habits, the case of the improperly thrown away dog poop could be resolved. Then, the city workers could just recycle the stuff in the green bins like everyone else does in the city. Otherwise, I can just imagine what kind of work-around will be designed to get around the current work-around. If the City is like most hospitals, the proposed solution will be more expensive and labor-intensive. Perhaps a Leaner approach will come up with a no-cost solution. What's a synonym for hypocrite?